We just love hand dyed fabrics, there’s no better way to create just the colours and colour combinations that we want for our work. 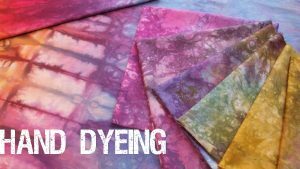 In this video collection Laura will show you how to hand dye your own fabulous fabrics using simple equipment and readily available Procion MX dyes. 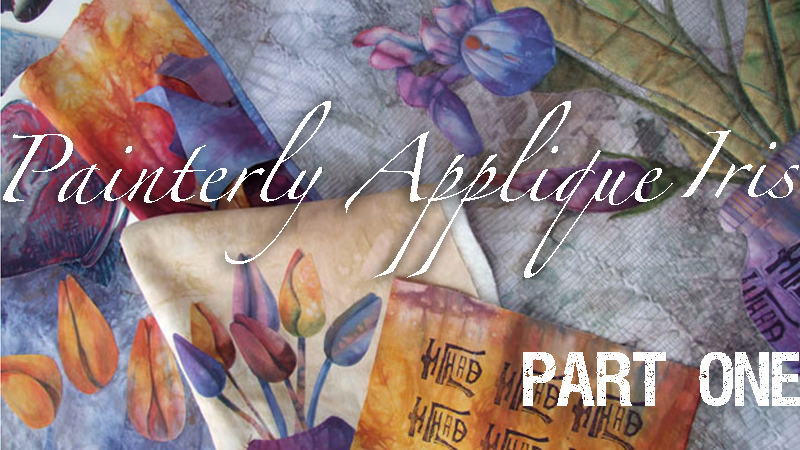 With a stash of beautiful fabrics to hand you’ll want to use them! 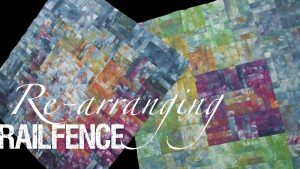 Included in this collection is Laura’s Re-arranging Railfence workshop which is such a fun (and dare we say, addictive way to make a quilt top). 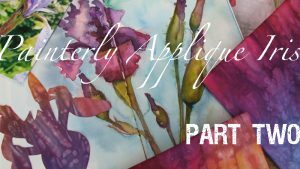 Plus, you’ll also find Linda’s two-part workshop Painterly Appliqué Iris where she demonstrates how you can create a beautiful floral appliqué hanging that makes the most of those gorgeous fabrics. This workshop collection contains four videos with printable worksheets where required. 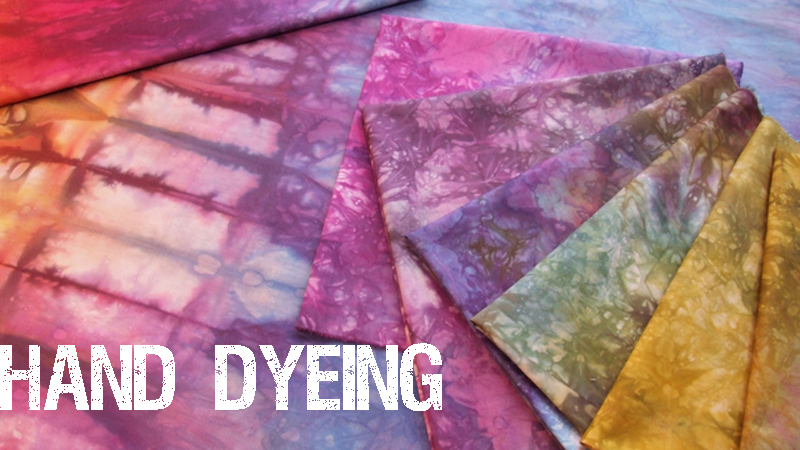 Learn how to hand dye cotton fabrics using readily available Procion MX dyes. Laura will guide you through the process step by step. Join Linda as she shows you how to fussy cut vibrant hand dyed fabrics to create beautifully realistic flowers and bud in bonded appliqué. Add a vase to your appliqué composition and explore suitable threads before quilting your wallhanging. With a stash of hand dyed fabrics, you’ll be looking for a way to use them! Join Laura and put rotary cutter to cloth, slicing up your fabrics to create a Railfence quilt top. This is such a fun method for using hand dyes and we think you’ll really love the painterly results.